Lemon curd in the Vitamix is a delightful lemon spread made with eggs, sugar, butter, and, of course, lemons! The Vitamix makes this recipe a breeze. It is so fun to watch right before your eyes as the ingredients are whipped together, heated, and somewhat magically transform into this curd, a beautiful fruit and sugar based spread. A bright taste of lemon is such a cheerful flavor. While I eat lemon treats year-round, it may be in the winter months that I most appreciate a burst of citrus. It was in January a few years ago that I shared a lemon curd recipe made in the microwave. Using the microwave makes the process of making lemon curd really quick and easy. My mother-in-law shared the recipe with me and I thought curd could not get any easier…until the Vitamix came along. Wow, this is no ordinary blender! 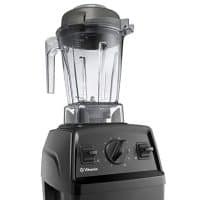 I would assume that the popular Blendtec functions in a similar manner but this Vitamix continues to amaze me. The fact that the Vitamix can mix the contents in the blender to such high temperatures is truly amazing. I thought I had a good idea to try to whip up some lemon curd in the Vitamix and, at the last minute, instead of just repeating my usual recipe I checked for a lemon Vitamix recipe in the manufacturer’s cookbook for the possibility that the chefs there had already provided their preferred recipe. Sure enough, on page 308 of the book, Create, there was this ingredient list for lemon curd. (By the way, it is not right that if you mis-type the word “curd” that it might turn into “cRud”, which spell-check won’t fix and which is the complete opposite of lemon curd. It should be called Lemon Delight or something light-hearted and more pleasant sounding!) This is good stuff! 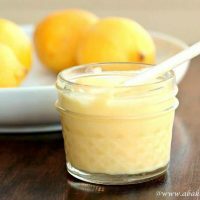 What ingredients are needed to make lemon curd? Put the eggs, lemon juice, lemon zest and salt (all ingredients EXCEPT the butter) into the Vitamix. Start at Variable 1 and gradually increase to Variable 10. Blend for 5 minutes. The mixture will heat up. It’s fun to watch the steam pour out the top! Reduce to Variable 3, remove the lid plug and add the pieces of butter through the lid. Blend for 30 more seconds. Your lemon curd will be smooth and somewhat runny while it is so hot. Allow to cool to room temperature then refrigerate. Two hours to overnight is just right. Store in mason jars. The lemon curd will thicken as it cools. 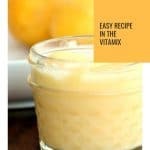 Now that you have this beautiful and luscious lemon curd made in the Vitamix, what shall you do with it? Eating it by the spoonful is honestly an option. Been there, done that. While visiting England, I learned that lemon curd is delightful spread on toast. Make this TWO ingredient Lemon Frozen Yogurt. Create this blueberry lemon marscapone cake from Beyond Frosting is beautiful! Bake this lemon raspberry layer cake from Lindsay at Life, Love and Sugar! Enjoy this lemon crumb cake from Tanya at Lemons for Lulu. After finding such joy in lemon curd, why stop? Try lime curd too. I even used my Vitamix to whip together this Cranberry Butter which is first cooked down in the Instant Pot. Add a label to your jar of lemon curd! Access is free to my email subscribers. Join the growing number of email subscribers by using the form below. You’ll love this label for your homemade lemon curd! 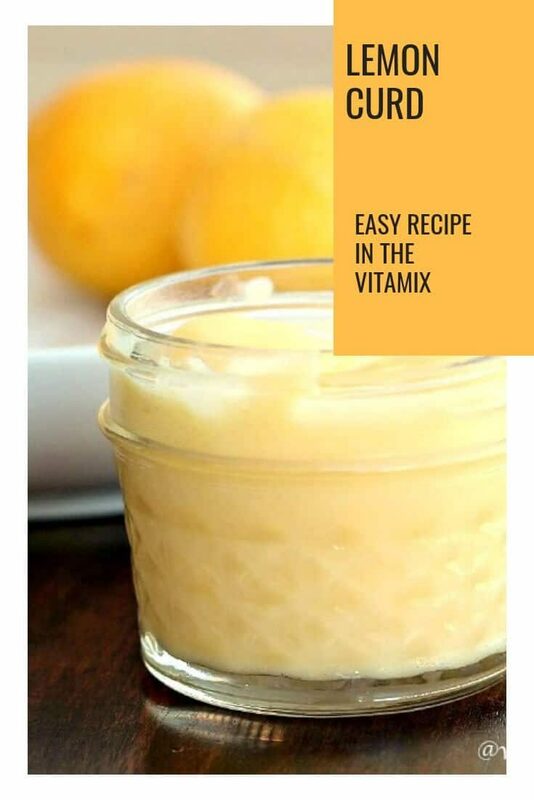 Capture that bright citrus punch that only lemon can give with this easy recipe for how to make lemon curd in the Vitamix! Put all ingredients EXCEPT the butter into the Vitamix. Start at Variable 1 and gradually increase to Variable 10. Blend for 5 minutes. The mixture will increase in volume, change color, and will become quite hot. Reduce to Variable 3, remove the lid plug and add the pieces of butter through the lid. Blend for 30 more seconds. Be careful with the steam coming out of the top! Allow to cool to room temperature then refrigerate. The lemon curd will thicken as it cools. Refrigerate for at least two hours or overnight. Note: A regular blender will not cook the eggs in the way that a Vitamix will. The temperature of eggs that is safe to eat is 160 degrees F. If you don’t have a Vitamix or Blendtec then use the easy microwave method or a stovetop method. And such a pretty photo. Lemon curd is on my Culinary New Year’s Resolution list. Do you think this would work in a regular blender? Hi Lea Ann, This wouldn’t work in a regular blender because the Vitamix actually heats up the lemon curd and cooks the eggs. This machine is incredible. Put cold items in and 5 minutes later they come out piping hot. Try my microwave lemon curd recipe instead. You are making me so jealous with your Vitamix. 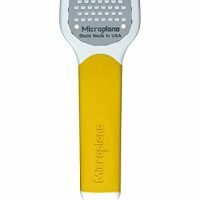 Ever since hearing Rick Bayless extoll the virtues of one that helped him win Top Chef, I have had my sights set on one. Now comes your endorsement and this beautiful lemon curd. My Problem is that my kitchen is packed with gadgets and there is no room. Hmmm, I think I feel a garage sale coming on. I get it– too many gadgets! But this machine might replace a few of them, it does a lot. Maybe you could set aside some of your gadgets to be ready for when your daughter or son need to furnish a kitchen? Then you’d have more room for toys for you! Another yummy lemon curd recipe! I keep saying that Im going to try this.. I need to! It sounds so good! Hi Kelley, give this a try, it is really tasty. I am going to use it in between layers of a birthday cake but I’d really like to try to make macaroons and use it as the sandwich filling in between cookies. Yum! I am of the Blendtec family (mine is new too) and can only add to your praise of these machines; I thought it a glorified Blender but it’s so much more than that. Feeling a bit spoiled that I have one but I did recycle…my daughter was happy to get my not so old Cuisinart! The lemon curd looks lovely, I could simply eat it with a spoon and such a charming photo. Now don’t say I didn’t warn you though, OK? When you see blood oranges at the market (I never saw them at Kings but did get some from Sprouts and Whole Foods last year) buy some and make some blood orange curd. To die for and SO pretty too. Yes, I have been eating this with a spoon. Hopefully there is enough left in a few days to be a filling in between layers of my husband’s birthday cake. Love the idea of blood orange curd! Will keep my eyes open at the grocery store. Thanks, Barb! Great post. In Australia we use a similar machine called a Thermomix. I’m a Consultant with Thermomix and absolutely love the product so I can see why you would praise the Vitamix. 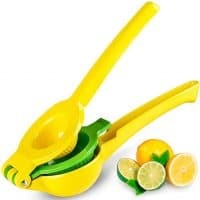 It does make things so much easier in the kitchen and the lemon curd is the best!!! Mango curd sounds extra special, something I will definitely try at home. Hope you can get your money’s worth from this wonderful machine. What do you make most often with your Vitamix? Oh that is fantastic! I hope to make a meyer lemon version, too, before they go out of season. 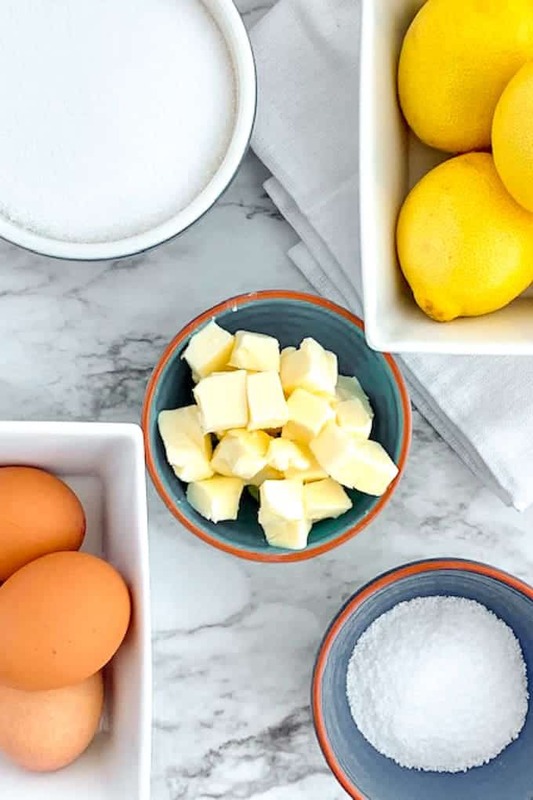 Can’t wait to see what you make with it, I always love another lemon curd recipe. 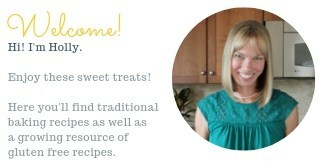 I just visited your site and your photographs are gorgeous!! Something for me to work towards for sure! How long does it take to thicken, mine has been in the fridge about 3 hours and still runny? Can I fix it somehow? Hi Valerie, The mixture should already start to thicken as it heats up in the Vitamix. It should coat the spoon before you put the curd into the fridge and then it will continue to thicken in the refrigerator. Did you have any success even after waiting overnight? Let me know. I hope it turned out well for you! It should be thick when you pour it out of the Vitamix. You must cook it on high (10) until heavy steam is coming out. 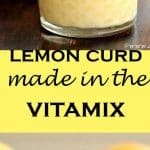 I have been making lemon curd in a Vitamix for 40 years. You know it’s ready because the consistency changes and little mounds form. It pours into the canning jars fairly thick. I also juice my Meyer lemons…measure the juice, but put the whole lemons into the Vita mix……I use only Meyer lemons for their excellent flavor. I had somewhat the same problem as Valerie did – the curd thickened but not as much as I was hoping. It’s not thick enough to pick up with a butter knife. Not sure what happened. I had exactly the same problem using my VitaMix Professional 500, VERY runny after leaving in the refrigerator 24 hours.. I went online and found conventional recipes that said to heat the mixture to 170 F degrees. I put the mixture into a sauce pot, heated it to 170 F which noticeably thickened it. Put it through a fine sieve and it looks good. I’d suggest checking the mixture’s temperature after it comes out of the VitaMix and if it is not hot enough either keep mixing until it gets hot enough (not sure if this works or not) or putting it into a sauce pot and heating it. It sounds like you did a great job trouble shooting. I am glad your lemon curd turned out well in the end. Sometimes different size lemons or eggs make a difference in how thick the final curd might be but you are right– the key is to heat the mixture to a high temp. Thanks for your comment! I did as another pinner suggested and substituted 1/2 cup raw honey instead of the 1 1/2 cups sugar. I also zested the fresh and organic lemons and added the zest to the Vitamix for extra lemon flavor and color. Turned out thicker than when I just used sugar in the past. I have fresh picked Blueberries right off the vine to go with the lemon curd tonight. Such lemon excitement!!!! I’ve never made curd with honey before but glad it worked for you! Blueberries and lemon are a great combination. I am sure you enjoyed it! I tried this recipe yesterday following it very carefully. I love lemon curd and was anxious to try it. Well even after chilling overnight and a day it is still runny. Any suggestion to thicken this? Should I try putting it on the stove and cook till it thickens? Please help! Hi Patsy, Oh that is frustrating when a recipe doesn’t work as it should. I haven’t had that trouble with this Vitamix recipe. Tell me more about the steps you took. Did you process it in a Vitamix or Blendtec? Or another type of blender? The mixture has to get hot enough to cook the eggs and allow the curd to thicken. You could try processing it again for a bit longer to see if the mixture comes together. Perhaps you had more lemon juice/liquid than usual and the ratios were thrown off? Let me know. I used a Vitamix. The only thing that could have been “off” from the recipe would be the size of my lemons, which were large ones. I may try to reprocess in my Vitamix for another attempt to get it to thicken. Even though it is thin, it tastes delicious. Thanks for your help. UPDATE: I put my runny lemon curd back into my Vitamix and reprocessed it for the second try. Success! 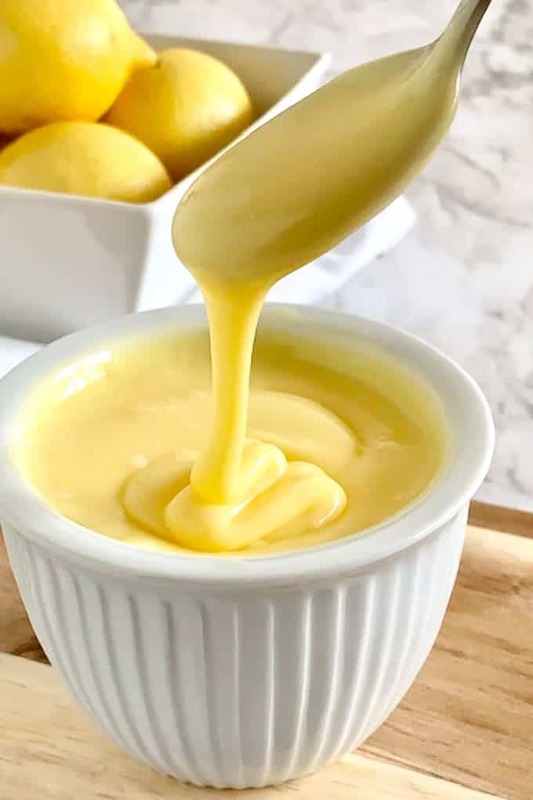 Perfect lemon curd…I’m in trouble now that I know how easy it is to make this. Thanks for your input and help. Love this recipe! Hooray! I am so glad to hear that the curd came together on the second go-round. I am glad you gave that a try. You are right, now you’ll be making lemon curd all of the time. It goes with everything from breakfast to dessert. That blender makes short work out making lemon curd! I love this recipe! Thanks, Tanya! I’ll have to try it with your cake recipe! Just finished this recipe. So good and so easy. I ran mine an additional 2 minutes on 10 after adding the butter. When the 30 seconds on 3 was done it very thinly coated a spoon back. Worried that I might experience thinness after refrigeration, I decided I wanted it thicker. It was setting wonderfully into lucious puddingness, new word, when I poured it in the jars!! Made 2 16 oz jars!! Thank you!! Thanks so much for your comment. I am so glad you made this lemon curd. How will you use it? Enjoy!